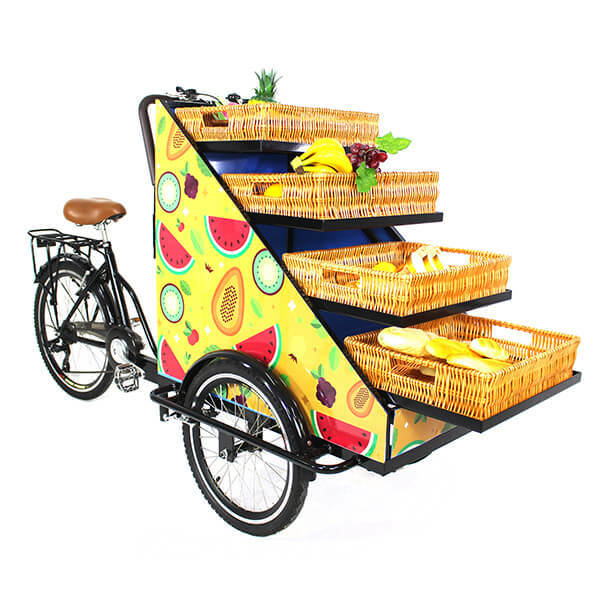 Mobile vending bikes are designed to move around to sell small goods like candy, snacks, fruits, vegetables, books, and more. Of course, we also get more inspiration from the needs of customers. For example, mobile vending bikes can also sell glasses and flowers. 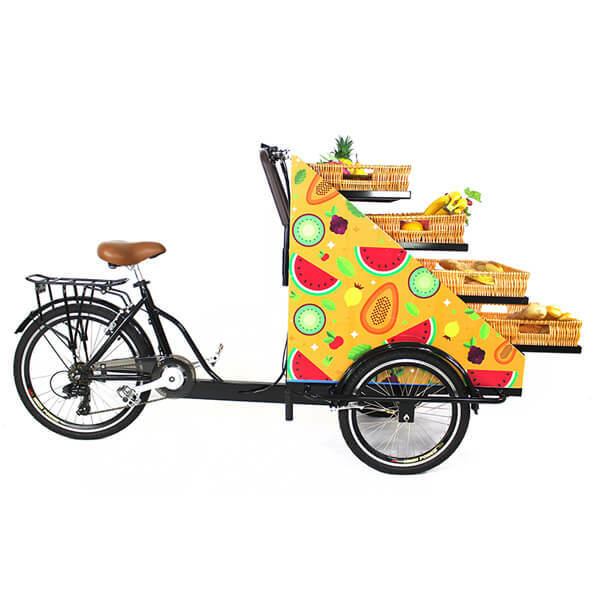 The vending bike can also be used as a brand promotion display, which fully reflects the advantages of mobile sales and more flexible walking through the streets to attract more passers-by to create new business. Category: Vending Bike. 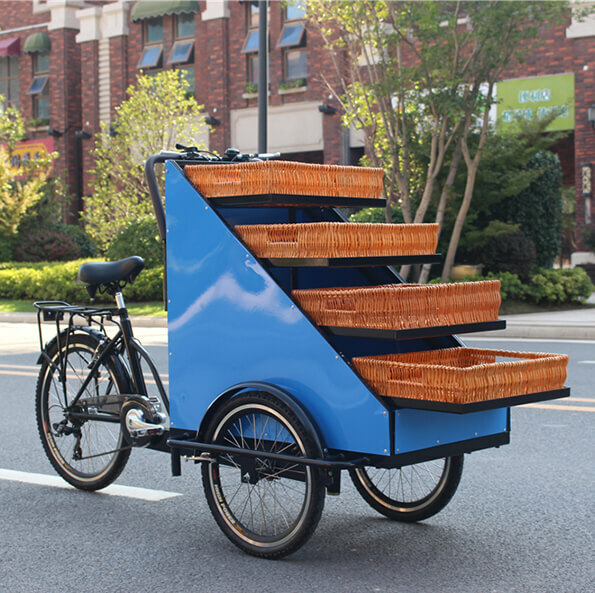 Tags: mobile vending bike, vending bike, vending bike for sale.